DBi Istanbul began with cocktails at Bogacizi University and ended on a boat cruise on the Bosphorus. In the ten days in between our group of fifteen Stern MBAs tapped into the rhythm of a city that is at once historic and modern, from the magnificence of the Blue Mosque to late nights in the clubs of the Bosphorus. Though always the historical gateway between Europe and Asia, Turkey now plays a growing role in the international economy and a critical role in the tumultuous politics of North Africa and the Middle East. Turkey’s reemergence on the global stage set the backdrop for engaging coursework, coursework that focused on the unique aspects of the domestic market, the performance of the national economy, and the Turkish impact on regional and international markets. Because our host, the prestigious Bogacizi University, maintains strong ties to the global businesses based in Istanbul, we were well-positioned to observe Turkey’s place in the global economy. Our time in Istanbul included visits with some of the top telecoms, consultancies, marketing firms, and CPGs in Turkey. By meeting with entrepreneurs at the helm of Turkish startups, we also got a close-up view of new and emergent business opportunities. We were based in the bustling neighborhood of Ortaköy, close to good restaurants and exciting nightlife. The trip included plenty time of time to get familiar with the local culture. We toured Istanbul’s old city, took in the Hagia Sophia, haggled in the Grand Bazaar, relaxed in the Turkish Baths, and watched the Whirling Dervishes. We also dined on the best of local fare: Turkish tea with the locals, fresh fish sandwiches, kebabs, dinners of authentic Ottoman cuisine, and cocktails in pulsing nightclubs along the Bosphorus. 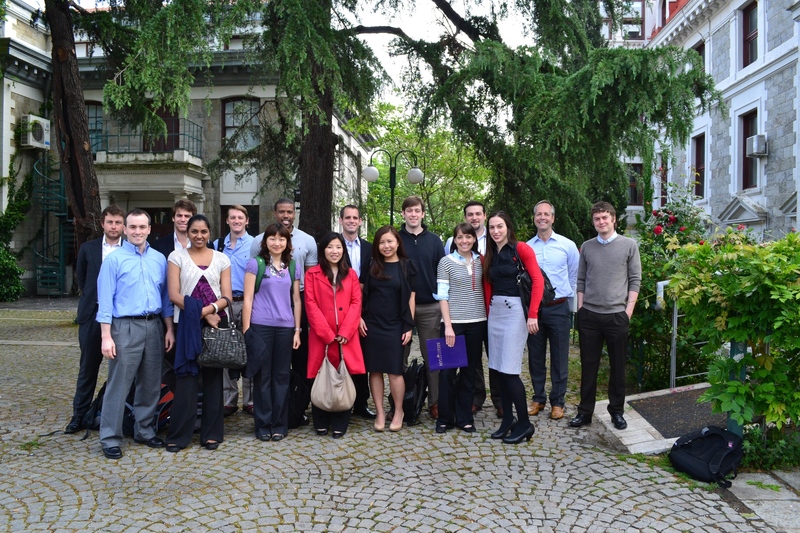 Istanbul is home to several of our Stern classmates who, true to their NYU roots, were fantastic hosts. They gave giving us the inside track on restaurants and bars. They also took us off the beaten path to explore parts of the city that we would never see as routine tourists. The timing of the program, after finals and before internships began, gave a few of us the chance to travel around Turkey before and after the coursework in Istanbul. Activities included air ballooning in Cappadocia, visiting the ruins of Ephesus, and lounging around beautiful beaches on the coast of the Aegean Sea. During the weekend off between classes, we were free to tour the city as we saw fit. A few people even jetted off to France to party with friends. DBi Istanbul is an excellent addition to the Stern repertoire. The partnership with Bogacizi University gives Stern MBAs the best possible for discovering Turkey, the region, and the opportunities therein. Istanbul’s culture and history are enough for a life-altering experience on their own. But as a city at the leading edge of political and economic transformation in an important region, Istanbul is also a city with tremendous opportunities for future leaders in social and commercial enterprise.